Montgomeryville, PA (June 2017) – Impact Thrift Stores, Inc., a nonprofit organization which operates three large thrift stores in southeastern Pennsylvania, announces that it has entered into an agreement to be acquired by Heaven’s Treasures Thrift & Value Stores LLC, of Wilmington, DE. Settlement on the purchase of the regional nonprofit thrift store chain is scheduled for the end of June, 2017. Until the transaction is complete, the three stores located in Feasterville, Montgomeryville and Norristown, PA, will continue to operate as Impact Thrift Stores. There will be no clearance or going out of business sales as business as usual and hours of operation will remain business as usual. Heaven’s Treasures Thrift and Value Stores LLC currently owns and operates two stores in the region located in Hatboro and Bristol, PA. Heaven’s Treasures acquired both of these properties from Impact Thrift Stores in February of 2017. Heaven’s Treasures will offer employment to all active Impact Thrift Store, Inc., employees at their current rate of pay and comparable benefits. 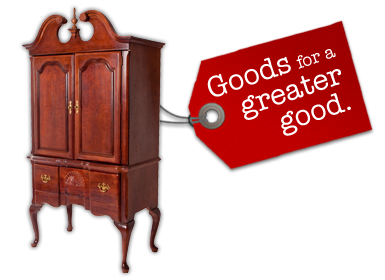 They carry a wide range of gently-used and brand new merchandise at affordable prices. Heaven’s Treasures CEO, James Jones, said “We are excited to serve the greater Philadelphia area in Bucks & Montgomery counties by continuing the traditions of hiring second chance employees, supporting charities and giving quality goods at affordable prices”. About Heaven’s Treasures Thrift and Value Stores: Based in Wilmington Delaware, Heaven’s Treasures was organized in December of 2016 with a mission of operating a chain of retail stores that will allow second chance employment, financially support charities and give affordable shopping experiences to the greater community while keeping with its corporate purpose, to glorify God throughout the community and world in which we live and work. To learn more, visit http://heavenstreasuresthrift.com, contact info@heavenstreasuresthrift.com, or connect with us on Facebook. This entry was posted in Uncategorized and tagged heaven's treasures, Impact Thrift Stores, shop thrift. Bookmark the permalink.